School season is here! Time for packing lunch boxes and prepping after school snacks. For many students, food allergies or restrictions at school can limit some of the choices available for lunches or snacks. Our family is gluten and dairy free, so at home we often rely on nuts to work with in the kitchen. For school, however, we realize how serious nut allergies are, so we’re always on the hunt for delicious nut-free recipes. 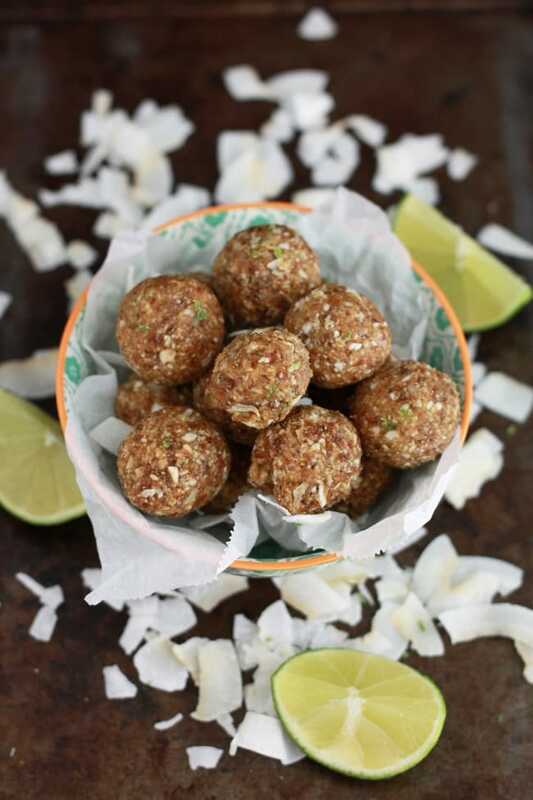 There are so many great ideas out there for nut free lunches and snacks that we never really feel limited. We love fruit and nut snack bars and have converted most of our old favorites to nut-free versions in the last year to make them school-safe. These have been a big hit at our house! 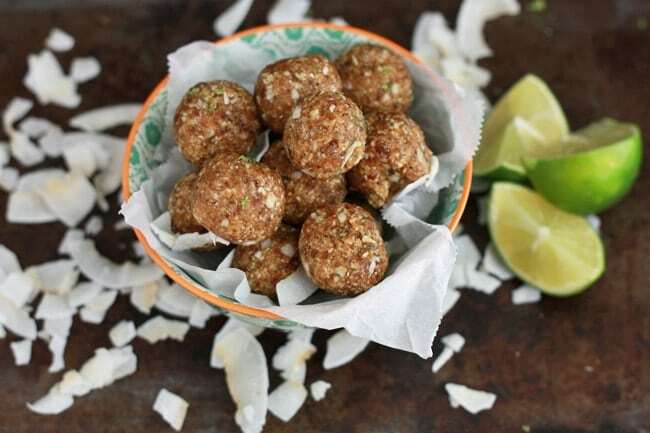 These coconut lime energy bites are somewhere between a snack and a treat. Not much nutritionally different from the fruit and nut bars you can buy pre made, but full of natural sweetness from the dates. We love the nut-free proteins and fats from unsweetened coconut and pepitas (pumpkin seeds) and the lovely brightness from the lime zest makes these so flavorful! We pack two in lunches along with turkey roll-ups, fresh veggies, fruit, and maybe some pretzels or crackers. The perfect bite size, they’re a great sweet complement to something savory, like ham or turkey slices or celery with cheese for an after school snack. If you prefer bars to balls, you can press the mixture out into an 8×8″ baking dish lined with parchment paper. Refrigerate to set, then cut into squares. Don’t care for pumpkin seeds? 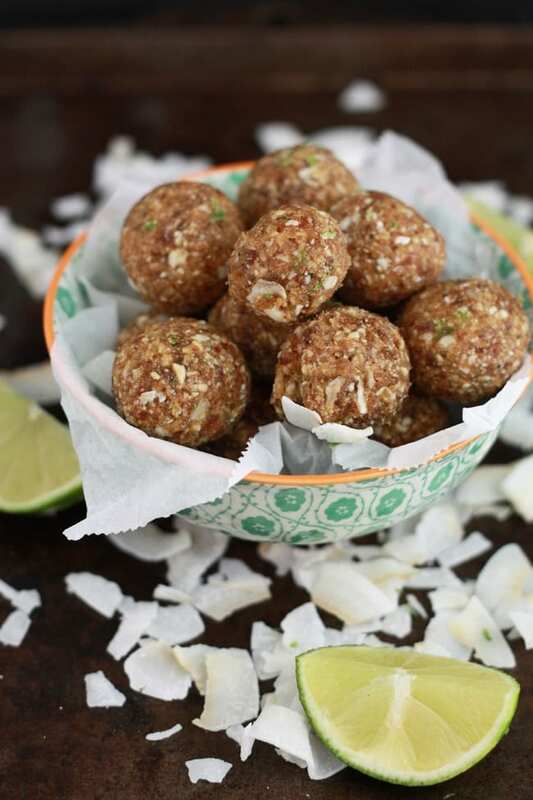 You can substitute cashews, almonds, or macadamia nuts in their place, though this will add nuts back in. I’ve found sunflower seeds are too strong for these, so I don’t recommend them. 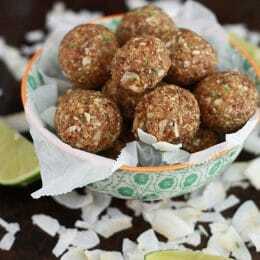 I love using sprouted pumpkin seeds for this recipe. They’re easier to digest and are slightly more nutritious. I can find the GoRaw brand in bulk at Costco, but stores like Sprouts and Whole Foods also carry them. Psst! Like these? You may also want to try these Healthy No Bake Snack Bars or these nut-free Cherry Apricot Snack Bars. Emily eats, reads, and writes over at One Lovely Life, where she shares healthy family-friendly recipes and plenty of beautiful books. Place all ingredients into a food processor. Pulse to roughly break up the ingredients. Continue to process until mixture comes together into a large ball. If, after 1 minute your mixture still isn’t coming together, add water one teaspoon at a time until mixture comes together. Refrigerate 10-15 minutes to chill slightly, then transfer to an airtight container or bag and store in the refrigerator. How long can these be stored in the fridge – and can they be stored in the freezer for consumption later?